Have a question for Hilton Orlando Buena Vista Palace? "Room is generally spacious and clean." "The rooms are clean and big enough for a family of three." Situated in Disney Downtown Lake Buena Vista, Hilton Orlando Buena Vista Palace is the perfect place to experience Orlando and its surroundings. From here, guests can enjoy easy access to all that the lively city has to offer, including The Art of Disney, The Spice & Tea Exchange, and Basin at Downtown Disney Marketplace. Hilton Orlando Buena Vista Palace is committed to providing the best in services and hospitality. 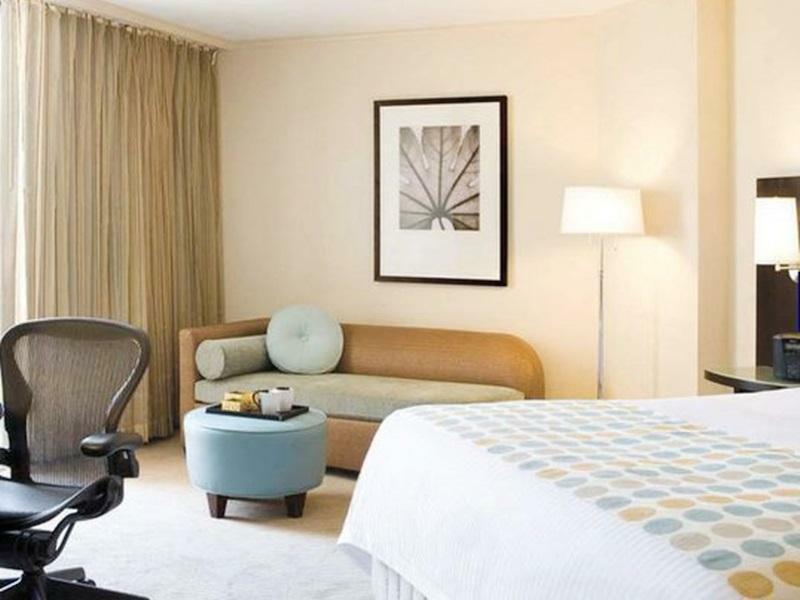 Guests can enjoy on-site features like 24-hour front desk, facilities for disabled guests, express check-in/check-out, luggage storage, and Wi-Fi in public areas. Each room features a separate living room, LCD/plasma screen TV, air conditioning, heating, and wake-up service. Throughout the day, guests can relax at the hot tub, the fitness center, sauna, nearby golf course, and outdoor pool. Superb facilities and an excellent location make Hilton Orlando Buena Vista Palace the perfect base from which to enjoy your stay in Orlando. "Nice restaurants and shuttle to parks." 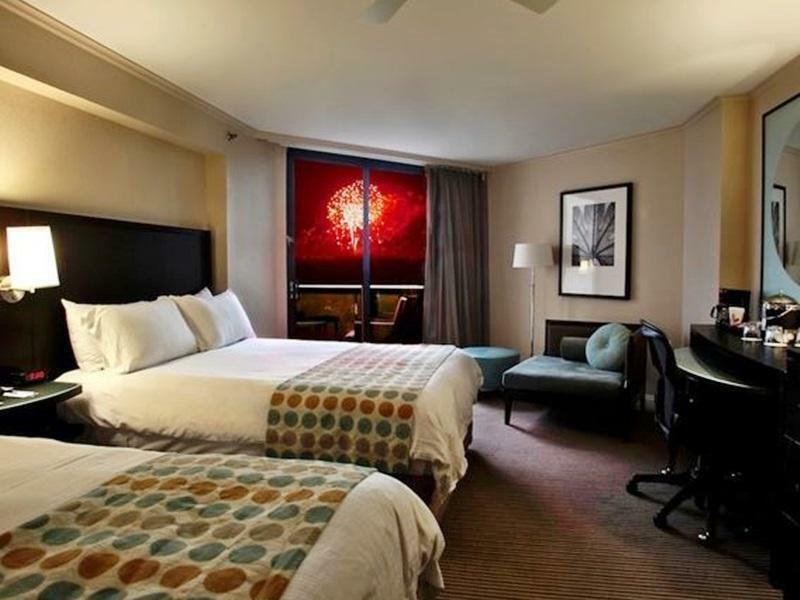 The property fee is inclusive of: in-room Wi-Fi, Disney Bus transportation, local calls, movie rentals, two vouchers on beverages (not redeemable at Mainstreet Market or Benihana), and USD 5 discounted voucher on one attraction ticket. Coupons cannot be combined. The location is great. The staff is professional. The rooms are clean and big enough for a family of three. The restaurant is yummy. I booked 3 rooms, and 12 of us were amaized, no need to get out of the hotel was all excellent. This hotel had everything you might need! The pool and lazy river was relaxing but the water was a bit warm. Nice restaurants and shuttle to parks. Concierge was not available for ticket purchase at 10:15 pm. He/she could not be found anywhere 45 minutes before end of shift. Everyone else was very helpful. Security came with first aid supplies when my grandaughter cut her finger! The hotel wreaks of a musty, moldy or mildew smell everywhere. Paper thin walls. Lots of construction (including in the room above me at 8am) and closed areas made my visit less than ideal... Hotel was clean and staff was helpful. Location is great close to Disney Springs. From the moment we checked in to the moment we checked out, everyone was friend and helpful. We were very disappointed with the pool area. We thought it was suppose to have a nice pool area and bar. Found out it is under construction! It is quite an inconvenience to get to what pool there was and to the shuttle service for Magic Kingdom. For the price we were not impressed. If we would have realized there was so much construction going on we would have chosen someplace else especially for the price! It was advertised to have games and recreation for kids and there was nothing for them to do! Bathroom was very small! I stayed here about 3yrs ago and absolutely loved it however this time with all the construction all of the amenities that I was so looking forward to were closed, and no discount was applied! Not good for repeat guest. If I was at least told beforehand that the hotel was under construction I would have booked elsewhere that was a bit cheaper or if the at least offered a discount I would have stayed here and been satisfied but not like this! Horrible! this is not my first time stay here, i always here, see u next time. Very good I am happy so us my family. Sadly, no ice on our floor. Had to travel from 5-12 floors looking for ice. Minimal food choices. Proximity to Disney World, in general; proximity to Downtown Disney; generous breakfast buffet spread but pricey. Generally okay. While the hotel is big and spacious, the rooms and bathrooms need updating. The limited dining areas in the hotel does not make this ideal for stays of 3 days or more. Clean, close to attractions and the hotel service is impeccable! Can't wait to return. Stayed in building behind hotel. A lot of walking. Resort fee was charged unexpectedly upon arrival. I paid online and thought the price I paid wsd the cost. Wifi is available for a fee. Nice hotel, right across the street from downtown Disney. The bar was expensive and looked like something from the 70's. We loved the water view we had. Cleanliness of the room and the staff were great!